Embattled Independent Electoral and Boundaries Commission (IEBC) CEO Ezra Chiloba reported to work on Wednesday as ordered by the court, only to find his office door lock changed. Upon inquiry, the CEO was told that the IEBC Chairman Wafula Chebukati had changed the lock and flew out of the country with the keys. Responding to the allegations, IEBC tweeted saying that Chebukati does not carry office keys, as he is not the janitor. It's just some coincidence that @wchebukati was away. He is the Chairman, he does not carry any office keys. He is not the janitor. Throwing weight to IEBC’s response, the Chairman stated that he was trying to coin a joke to take care of the situation. 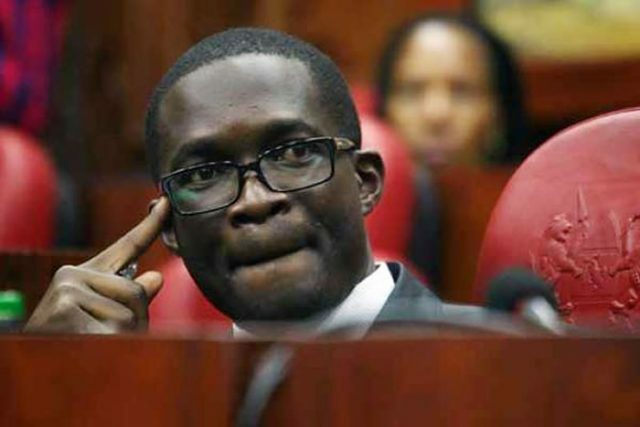 The Employment and Labour Relations Court on the June 14 reinstated Chiloba to work in a case he filed against Chebulati and the commission. However, Chebukati suspended him almost immediately after the court ruling. In the latter suspension, Chebukati said that Chiloba was still suspended from his duties at the commission to allow for the completion of a comprehensive audit on major procurement relating to the August 8 general election. As you are aware under clauses 3 and 5 of your employment contract, you are responsible for the prudent financial management of the commission’s finances, as well as the execution of all the commission’s programmes and plans in line with the constitutional mandate. The issues under investigation are weighty and touch on your role as the accounting officer,” read the suspension letter in part.